Getting a Florida contractors license requires you to be certified with the Florida Construction Industry Licensing Board. Depending on the type of license you wish to obtain, there are different requirements and procedures – such as passing a test and having previous experience as well as, in some cases, obtaining a contractor license bond. Read on to find out how to obtain the Florida contractor license you need! The Florida Construction Industry Licensing Board regulates the licensing of contractors in the state. The statutes governing the licensing of contractors in Florida are the Chapter 489, Part I of the Florida Statutes and Chapter 61G4 of the Florida Administrative Code both of which are available on the licensing board’s website. These statutes define the types of licenses as well as the types of licensure required by contractors in Florida. There are two main types of licensure – registration and certification. Being a registered contractor allows you to perform work on a local level, in your city or country, depending on where and how you have been registered. If, instead, you wish to be able to work throughout the whole state, you will need to be certified for which you will need to pass the Florida contractors exam, meet a number of financial stability requirements and provide proof of experience. Additionally, there are also specialty licenses which can also either be local or statewide. These include specialty structure licenses, swimming pool specialties, building demolition and others. Proof of experience is necessary if you wish to become a certified contractor in Florida! To become a certified contractor you will need to provide proof of four years of experience in the field in which you wish to become certified with one year of supervisory experience. You can also substitute up to three years of experience with three years of college credit hours. To obtain a certified license you also need to pass an examination. 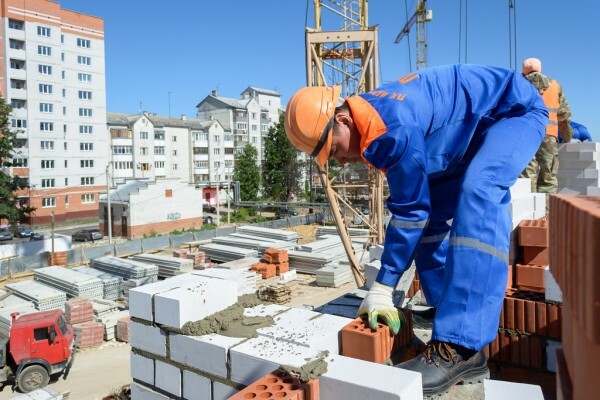 If you want to obtain a general, residential or building license or a specialty license for building demolition, tower specialty and industry facilities you need to pass the three-part examination covering project management, contract administration and business / finance. All other licenses require the passing of a two-part examination consisting of general or “trade” knowledge and business/finance sections. Licensed contractors must maintain both a liability insurance as well as a property damage insurance at all times. General and building contractors must have a $300,000 liability insurance coverage and $50,000 on their property insurance. All other types of contractors must have insurances of $100,000 and $25,000 respectively. Contractors must also provide proof of their financial stability by submitting a personal credit report issued by an acceptable credit reporting agency. Contractors must further provide criminal history information, especially if they intend to qualify a construction company. Additionally, applicants who have a FICO score of less than 660 must also submit the relevant contractor license surety bond in order to establish their financial responsibility in front of the Licensing Board. Division I applicants, meaning building, residential and and general, must post a licensing surety bond in the amount of $20,000 while Division II applicants (all others) need to post a $10,000 surety bond. By completing a financial responsibility course approved by the Board, applicants may have their surety bond amounts reduced by up to 50%. The point of the bond is to guarantee that licensed and bonded contractors will comply with Florida statutes and regulations for contractors. It is a form of financial guarantee and protection to the public and the state, and offers legal recourse against those contractors who fail to comply or intentionally engage in fraud or other dishonest activities. To get a bond you don’t need to pay the whole bonding amount. The cost of your bond is a fraction of the total bonding amount, usually a small percentage of it. The amount of your premium mostly depends on your credit score. Applicants with a higher credit score typically receive a lower quote on their bond, while those with a lower or bad credit score must pay a slightly higher premium because of the risk involved. The latter can get bonded under Lance Surety Bonds’ Bad Credit Surety Bonds Program that allows them to receive a premium tailored to their unique situation. In order to obtain a Florida contractor license, applicants must also pay an initial licensing fee. Licensing fees for certified contractors are $249.00 when applying between May 1 of an even year and August 31 of an odd year. When applying between September 1 of an odd year and April 30 of an even year the licensing fee is prorated and is $149.00. Registered contractors must pay an initial licensing fee of $309.00 when applying for their license between May 1 of an odd year and August 31 of an even year. When applying for between September 1 of an even year and April 30 of an odd year the licensing fee is prorated to $209.00. Licenses are renewed every two years. Certified contractors need to renew their licenses on August 31 of every even-numbered year while registered contractors need to renew their licenses August 31 of every odd-numbered year. There are different fees for renewing depending on whether the license is current, delinquent, active or inactive. Current active license means that one’s license is current and one is practicing as a contractor, while inactive means that one is not actively practicing as a contractor. Delinquent active means that one’s license was not renewed before the deadline though it’s latest status was active while inactive means that it was not renewed within the deadline and one was not practicing. Current active licenses are renewed for $209 for individuals and $259 for qualifying businesses, and current inactive licenses are renewed for $59. Delinquent active individual licenses are renewed for $309 and delinquent active business licenses are renewed for $359. Delinquent inactive licenses are renewed for $218. Need a Florida Contractor License Bond? Get a precise and entirely free quote on your Florida contractor license bond through our quick and simple online application! Submit your application and we will contact you shortly. Applying for your quote is free from any obligations! If you have any questions about getting bonded, do not hesitate to call us at (877)-514-5146 or contact us via email.